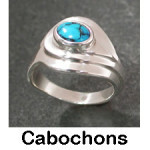 Handcrafted rings that will dazzle and delight your senses! 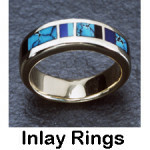 They are sure to attract compliments every time you wear them! 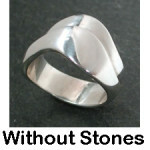 Your choice from this collection of limited production sterling silver rings can be ordered online. 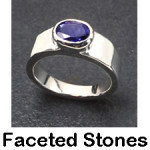 Please note: Prices may vary from online posted prices due to fluctuations in metal and stone prices beyond our control. If changes are needed, you will be asked for approval at the time of the order. Shipping & handling is for the contiguous continental forty eight states only. Please contact the gallery for shipping costs to other locations.